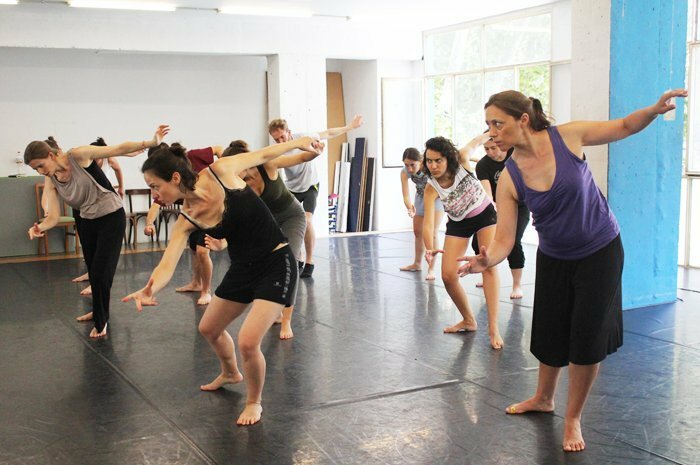 This workshop’s aim is to enter into the world of physical theater and, more precisely, the corporeal mime. Open to all levels, the workshop provides a space of discovery for all those who wish to explore the technical and artistic skills that help in developing interpretive skills, to improve physical control and expressivity, putting the body at the service of the imagination. – Stage presence: muscle tone and dramatic intention. Graduated in French literature, he trained in physical theatre and mime with Ivan Bacchiochi and Robert Bennett in Paris, Steven Wasson and Corinne Soum at the International School of Corporeal Mime in London, from which he holds a diploma. He is a one of the founding members and actor of Moveo Teatro since 2005 and teaches at the Col·legi del Teatre de Barcelona and at the Moveo centre. He was a member of the company Théâtre de l’Ange Fou in London and has since worked on various projects and short films as an actor. He has toured with shows to Croatia, Spain, Italy, France, England, Israel Rumania and Poland. He teaches or has taught for various schools and organisations, and worked in collaboration withfi the Alliance Française of Port Said (Egypt), Glob’culture (France) and , in Barcelona, El plato de ciné, the centre Amalia and the French Institute, for which he still works. Most recently, he performed in « ARA! » (Now! ), the last production from Moveo as well as in an adaptation from John Ford’s « ’Tis pity she’s a whore », for the first time translated and performed in catalan, directed by Anna Estrada (La Pell company). During the last years, Olivier also specialised in teaching French through theatre, giving classes and workshops for french teachers.